You won’t believe all of the new standards on the 2018 Toyota Sienna. It’s truly the best equipped in its class when it comes to safety and dash tech. There are other exclusives, too. 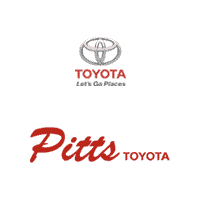 Get pre-approved at Pitts Toyota dealer serving Warner Robins GA.
Toyota Safety Sense P starts with an autobrake with forward collision warning and pedestrian watch. It includes a lane assist and automatic high beams. With navigation as another new standard, the dash entertainment system has a larger screen and an upgraded interface. For the teens on the back row, the Sienna has five USB ports spread out through the cabin. Assisted by a conversation mirror, the Easy Speak microphone allows parents to talk to kids without turning around. An available Blu-Ray rear entertainment system makes kids happier on long trips. If you want your minivan to perform more like an SUV, you’ll appreciate the largest cargo hold in the segment. It measures 39 cubic feet. You can expand to 150 cubic feet. Furthermore, the Sienna is the only minivan with an all-wheel drive option. Family drivers appreciate its serious engine capability. The V6 churns out 296 horsepower, best-in-class for minivans. Remarkably, it earns 27 mpg highway. Seating options include an eight-seat version with a removable middle-row center seat and a seven-seat version with center captain’s chairs. Two full LATCH sets (tethers/anchors) are on each row for a total of four carseat-ready positions. The spacious cabin gives everyone some wiggle room. Get connected with the 2018 Toyota Sienna at Pitts Toyota dealer serving Warner Robins GA.